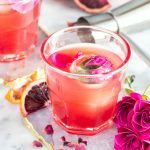 The Granny’s Kiss, a rose bourbon cocktail, is an ode to all the grandma’s out there. We imagine as she leans in for a kiss, you can smell her floral perfume wafting over you, and maybe if it’s a party, the faint smell of alcohol on her breath. Perhaps that’s not your nan/grandma, maybe she’s a strict non-drinker, but we like to think she might appreciate this strong, but feminine beverage. Because who’s Granny didn’t kick arse, in some way or another! We’re keeping it short today, but we gotta talk a bit about this cocktail. It’s got a homemade rose simple syrup, good quality bourbon (only the best for Granny), lavender bitters and blood orange juice, for that gorgeous pink-orange hue. 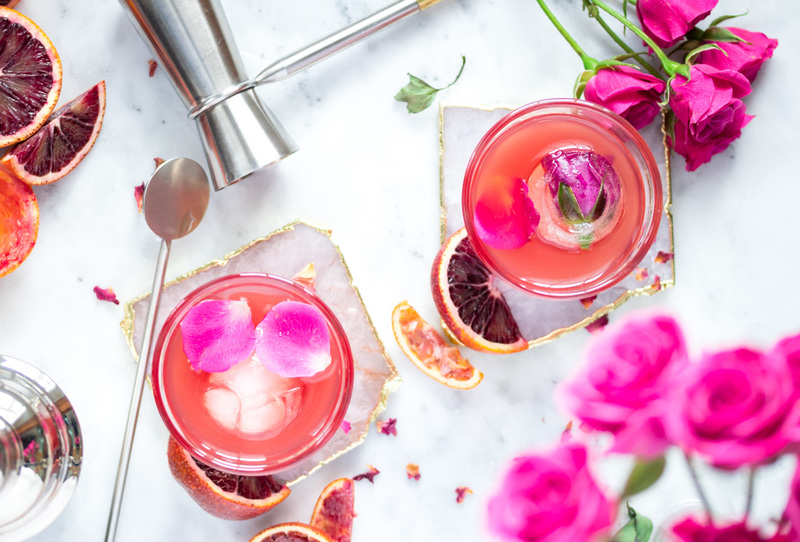 The rose simple syrup is made from dried rose petals, which you can get at specialty stores or online . But we also bought some from the St. John’s Farmers Market this past fall, if you don’t want to make your own (P.s. they’re open tomorrow Feb. 10th – second Sunday of every month). The lavender bitters are also available at the same store we linked, if you can’t find any locally. 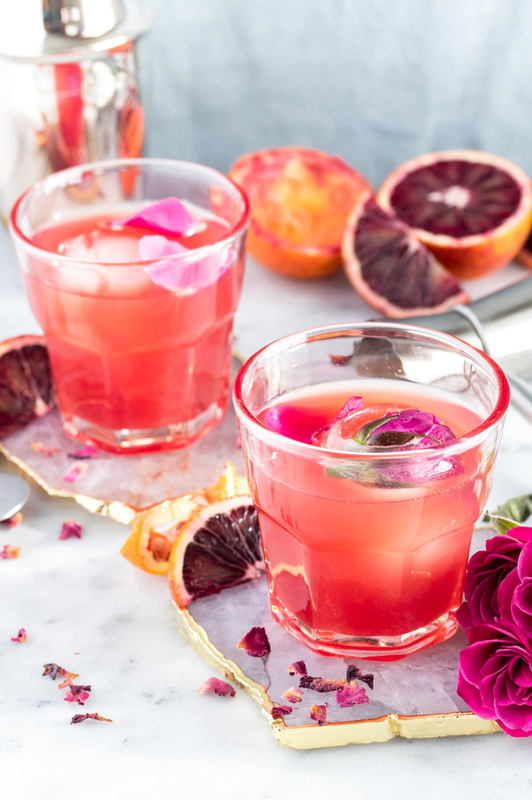 This is a classy drink for a classy lady, and what better time to enjoy something with roses than on Valentine’s day. We hope you enjoy this as much as we did, and it isn’t just for the lady’s, Josh liked it too! A sweet and powerful drink, just like Granny. In a large glass or cocktail shaker, combine ingredients with ice and stir (don’t shake! ), for 40 seconds or until well chilled. Strain into a glass and serve with a large ice cube. A delightful simple syrup with the delicate scent of roses. Bring the sugar and water to a boil in a pot on the stove. Once boiling, add the rose petals, and stir around until all coated in the sugar syrup. 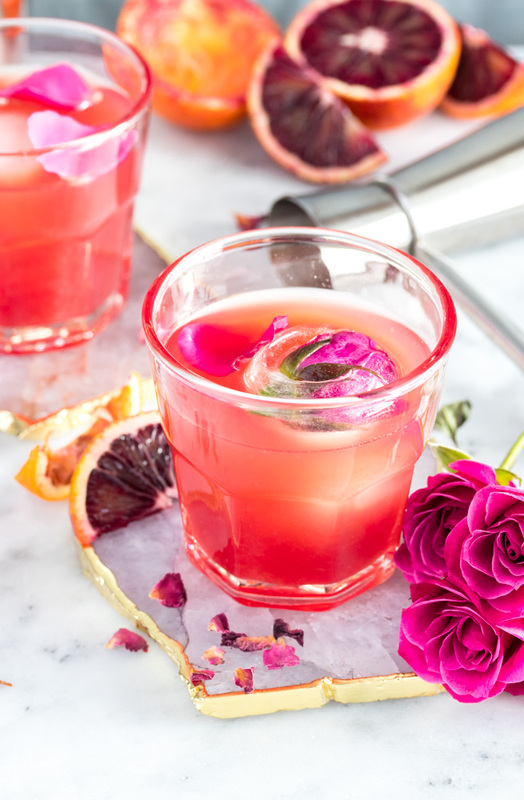 Remove from heat, cover and let steep for one half to a full hour, until your syrup has taken the colour of the petals and has a distinct rose taste. Cool completely, transfer to a clean jar and refrigerate for up to 1 month.